My Cluttered Corner: American Crafts Giveaway!! Those of you who have been around here before know I am a BIG American Crafts fan. 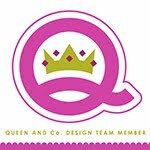 Have been since the get-go (as far as my scrapbooking days go;) ) so it was a HUGE excitement and honor for me to be asked to Guest Design for them. Even as a Cameo user I still always use Thickers for titles--fast, easy and pack such a great punch! I ♥ the little Burlap bow! and I covered the white tacks with Therm O Web Zots so I could adhere American Crafts buttons to them. 2. For a second entry, follow my blog and leave me ANOTHER comment telling me you now do or already did follow. 3. For a third entry, go over to my Guest Design Post on the American Crafts blog and leave a comment there. Come back here and leave me ANOTHER comment telling me you did so. Be sure to leave your email address if it is not clearly linked to your profile. I will leave the giveaway open through Sunday! Good luck and thanks for stopping by! I just love your work! 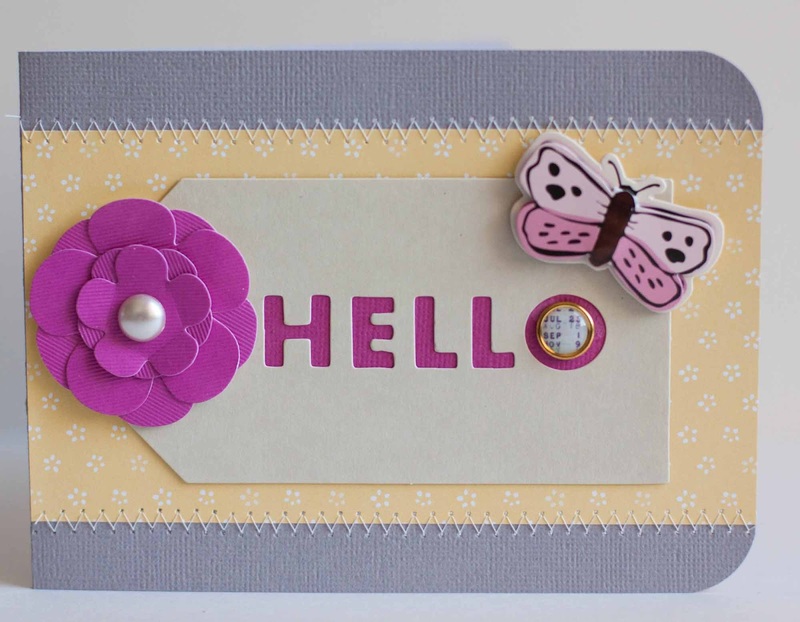 The stamping on your 4th project is just adorable! 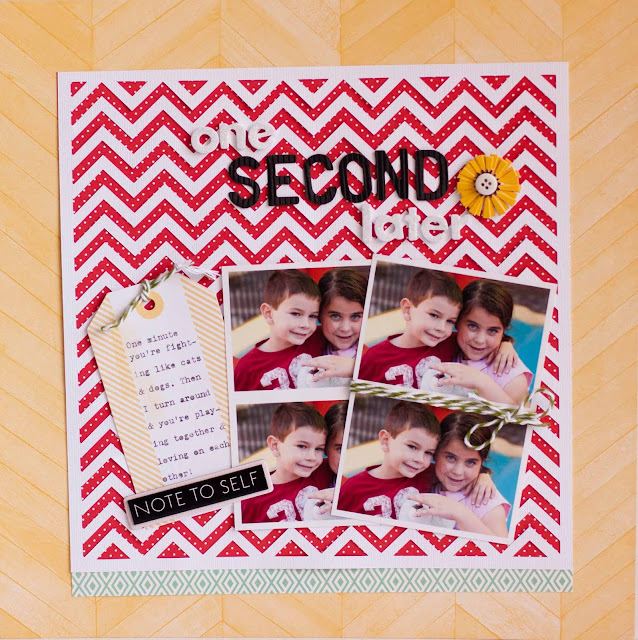 Love your simple style- I'm really liking your One second later layout! Great title and great colors too! I visited AC and left a comment about your cute card! Thanks for the chance! I can relate to the need to be fast - in fact your life and mine are very similar: a FT job and 2 kids, one boy and one girl, except my kids are much older, 11 & 17, so they don't need me as much! I have a bit more free time because of that! Congrats on your GD position! I will be checking out the blog shortly! And I commented on the AC post! Love, love, love your designs! Happy 2012! ~Jessica D.
Wow! These are all so awesome!!! Love it all! Happy New year! i love your layouts! Great work! I paid a visit and commented on your GDT spot. Congrats! I wish I could create this quickly and do such a great job! A huge admirer of your work!! Been a follower for awhile now! Left some love over on the AC blog too! seriously--AWESOME! I was SO excited to see your face come up as the guest designer at AC, you ROCKED it! No need to enter me in the giveaway :) I just wanted to say THANK YOU and you ROCKED the guest spot!!! Your projects are amazing!! I so love the frame!! I am now following your blog! Such super inspiration here. I am also bookmarking it for quick reference. Your projects are absolutely adorable! 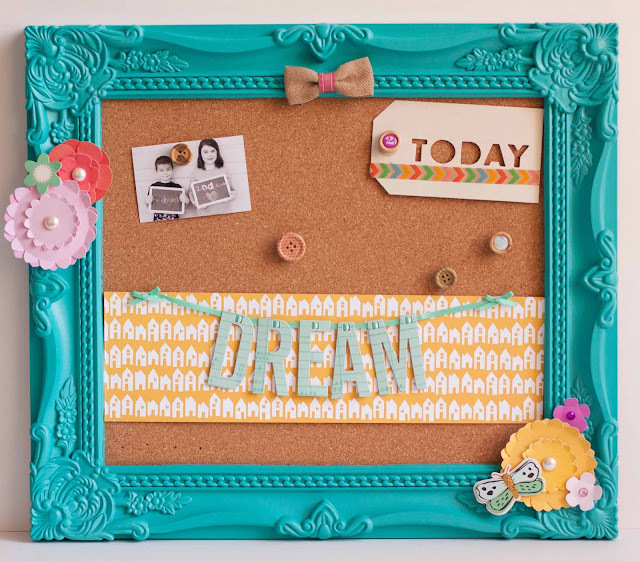 I love that teal frame!!! Just stopped by the American Crafts blog and left a comment on your post! Again, congrats on the GDT spot! go you, YOU know I am a follower and love your work! Fast and fabulous is what I like too!! There are always so many more pictures to scrap so i try not to spend too much time on one page!!! I am so impressed that you can scrap that fast! I keep thinking that more experience will increase my speed but it's not real obvious that this has helped. 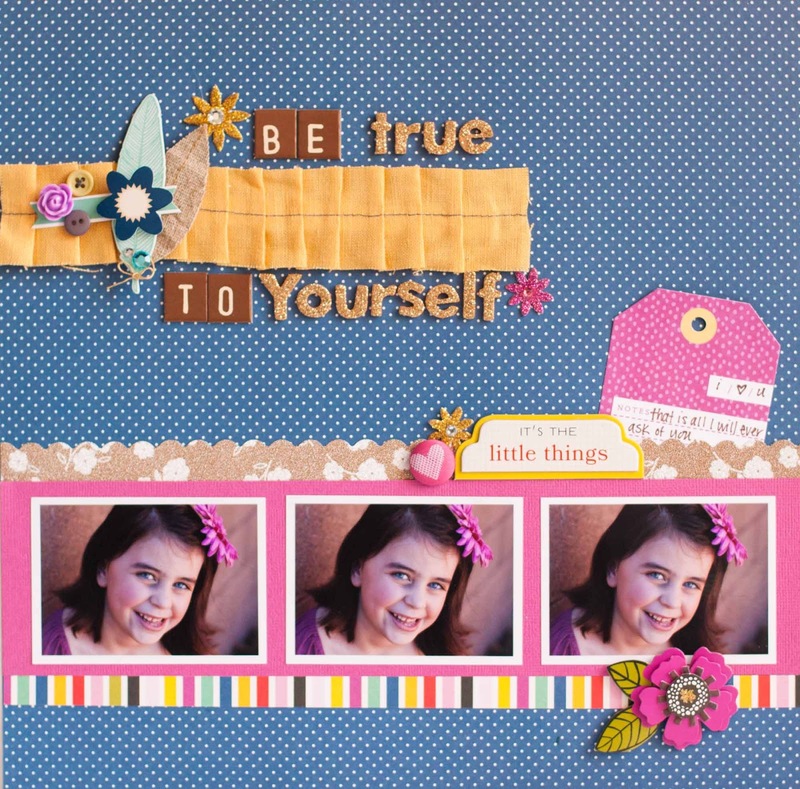 I was so excited to see your sweet face pop up on the AC blog as their GDT! You rocked their papers/embellies as always! Congrats again!! I left a comment on the American Crafts blog! Already a follower - and so love your style!! Loved seeing you on the AC blog - we need more fast and clean designs like yours. Well done! Left a comment there too.. I would love to add my sewing machine somewhere on my desk but at this pint the messy scrapper that I am... that would be impossible. I think I am also a bit afraid of stitching on my LOs... but love the look! Hi Rebecca, great ideas about getting things done quickly. I love the Amy Tangerine layout of your son! Her lines are my favorites. Did you stamp the "love" text on the background? I am already a follower, your post popped up in my reader! I have a simple style too and can relate. Great job as the guest designer! Left a comment over at AC and hope to see you again!! Love your projects! I left a comment on your GD post at AC! YEAH!!!!!!!!!!!! That is so cool...wow that frame...i LOVE it! Congrats! :):):):):) Much deserved! Hey girl! Happy New Year! I feel sooo horrible because I have not been to your blog (or anyone else's for that matter)in sooo long! I really need to carve out more blog time... for my own and for reading others. I miss it so much. Anyway... huge congrats on guesting for AC! You always capture the attention of all the top companies and you should be so proud of your fabulous work! Lovin' your projects... the chevron background you did with the Cameo is rockin'! And that frame... gorg! Congrats on the guest DT. Love your lo's and that frame! I visited AC and left a comment on your post. Awesome job Rebecca! I always love your style!! Congrats on the guest design position! !